Neil specializes in helping mortgage lenders, realtors and homeowners with the home buying process. His goal is to provide a true, concierge client experience that is unique in the insurance industry. With access to over 25 top rated national and regional insurance carriers, Neil gives clients the power of choice when shopping for insurance. After years of success as the owner of a captive insurance agency, Neil left that major insurance carrier to open an agency with Goosehead. Neil is now able to focus on his passion for helping clients navigate the often confusing and complicated insurance buying process. Referral partners know they have an insurance agent who will care for their clients with the utmost integrity and expertise. Homebuyers save multiple hours allowing Neil to find the best insurance options for their needs. The fact that Neil is independent, and doesn’t work directly for any insurance carrier allows him to give his clients control in selecting the best insurance policy and rates available. Neil is married to the love of his life, Gay and has a bonus son in addition to two daughters. Neil enjoys playing competitive tennis, and he and Gay play USTA sanctioned tournaments around Texas. 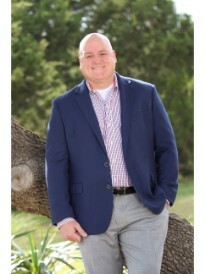 Neil also enjoys his faith, spending time with his family, helping the underserved in his community, movies, travel, theatre and is a huge Houston Texans fan.